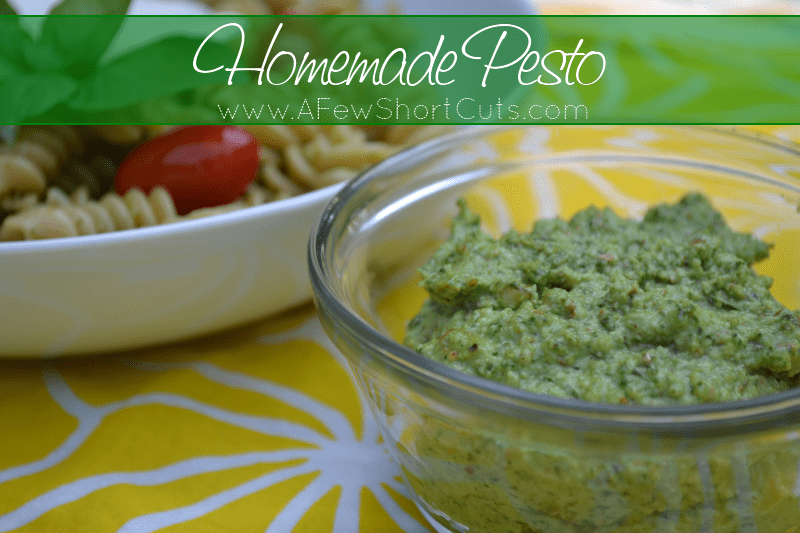 Use up all of that basil from your garden and make this simple yet delicious Homemade Pesto Recipe. Great for pasta or dipping your bread in. YUM! Every year I try my hand at gardening. Some years are better than others, but every year I have an overabundance of Basil. 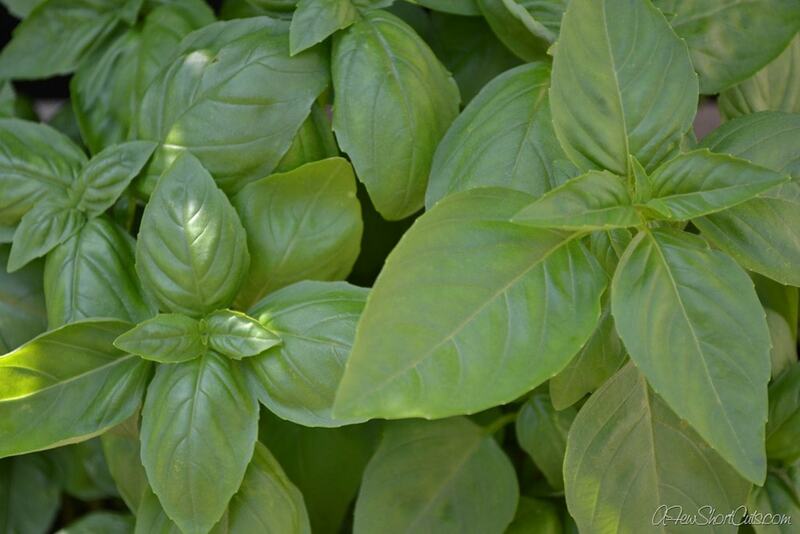 I love to cook with basil, add it to salads, and the obvious, make my own pesto. 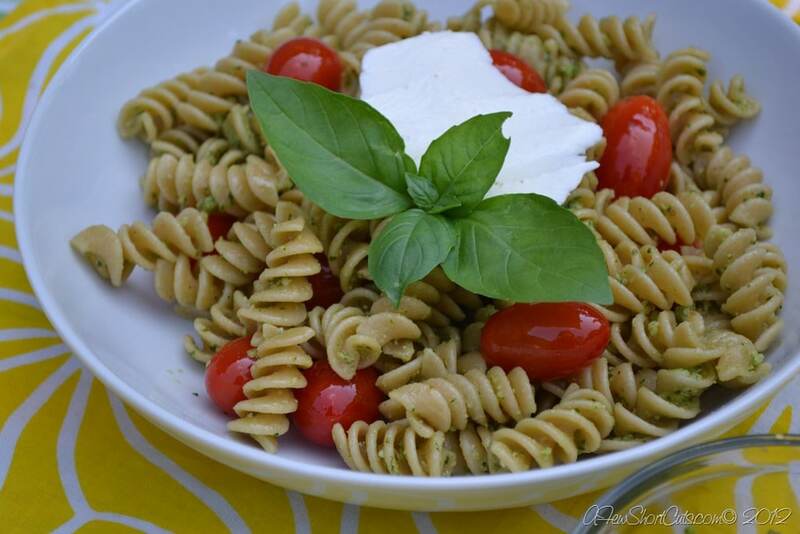 Pesto is a great sauce that can be tossed over pasta, eaten with some crusty bread, or even topping a baked potato. I personally love it on pasta & fresh baked crusty french bread. MMMM…. Plus, if your basil is taking over like mine will be soon, you can make this ahead and freeze it, so you will have pesto all year long! Add your pine nuts or walnuts to your food processor or blender. Pulse until finely chopped. Add the basil with the nuts and pulse a few times more in a food processor. Add the garlic & lemon juice pulse a few times more. Slowly add the olive oil in a constant stream while the food processor/blender is on. Stop occasionally to scrape down the sides of the food processor with a rubber spatula. Doesn’t this just look good?! Thank you! I am going to make this later on in the week!